I recently watched “The Outsiders” again. It’s one of my favorite movies. However, this time I watched it from a professional viewpoint and I discovered two achievements that apply to the workplace: finding talent, and having the right management in place to develop it. I’ve been in human resources and staffing since the late 1990s and I’m impressed by how the studio and film makers identified such marvelous talent in both the cast and the director. The movie was made in 1983. It is based on S.E. Hinton’s book of the same name and directed by Francis Ford Coppola. 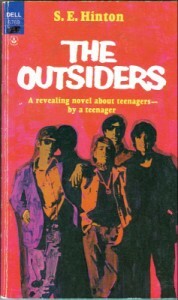 The plot is about the rivalry between two gangs — the Greasers and the Socs. The cast is made up of actors that were mostly unknown at the time, but went on to have big movie careers. They became the core of what was known as The Brat Pack in the 1980s, and included Matt Dillon, Tom Cruise, C. Thomas Howell, Ralph Macchio, Patrick Swayze, Rob Lowe, Emilio Estevez and Diane Lane. Even the supporting cast is quite impressive — Tom Waits, Leif Garrett, Darren Dalton and an uncredited role for Flea from the Red Hot Chile Peppers. But having a talented cast is not always enough to make a successful movie, just as having talent isn’t enough to create a successful company. The Zoetrope Studios casting directors not only did a great job finding talent but also finding the right person to develop it. Francis Ford Coppola, who directed “The Godfather” a decade earlier, was able to take the gifted “Outsiders” cast and get great performances out of them. The film is an example of how having the right leaders in place can direct great talent and make them productive and valuable employees. While building your company with the people it takes to grow the business, make sure you take time and give attention to hiring top talent throughout the organization, especially the managers who can direct and develop their teams’ talent.